Peaches Boutique has created a timeline to show you how prom nights came to be. In the timeline, you will be surprised to know that Prom has been a part of the American culture for more than 100 years already. And, throughout the years, different countries around the globe have adopted Prom in similar gatherings but used different names to call it. The timeline begins with a discussion on grand balls during the Victorian era where most of the guests are from the upper class. 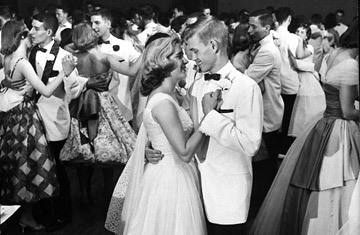 From then on, you will see how it transitioned into the lavish prom nights being celebrated in the present times.